for each member of the family and an additional one for my son. Toddlers do need more than one sippy cup! sippy cup name tag. 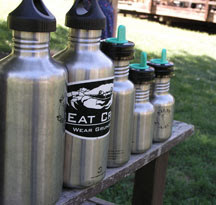 ReusableBags.com is my favorite place to shop for water bottles. Found this site recently. Looks very promising!